Photo: Search for 20 missing workers and sunken trawler continues for the 2nd day on Thursday. Munshiganj, Jan 18 : Twenty missing workers of the soil-laden trawler which capsized in the Meghna River early Tuesday are feared dead as the trawler could not be traced till Thursday night. Although 14 workers managed to swim ashore, the rest went missing, said Faruque Ahmed, Sadar upazila nirbahi officer. All the workers hail from Pabna and Sirajganj districts. However, the rescue operation began on Wednesday. The search for the 20 missing workers and the sunken trawler resumed around 8am on Thursday for the 2nd day. Members of Bangladesh Inland Water Transport Authority (BIWTA), Fire Service, River Police and Bangladesh Coast Guard tried to locate the trawler with the help of side-scan sonar system. Although they found the image of a trawler-like metal object in the riverbed in the solar, it was not sure whether it was the sunken trawler, said BIWTA Chairman Commodore Mozammel Haque from the spot. He also said they brought more equipment from the capital to be sure to this end. 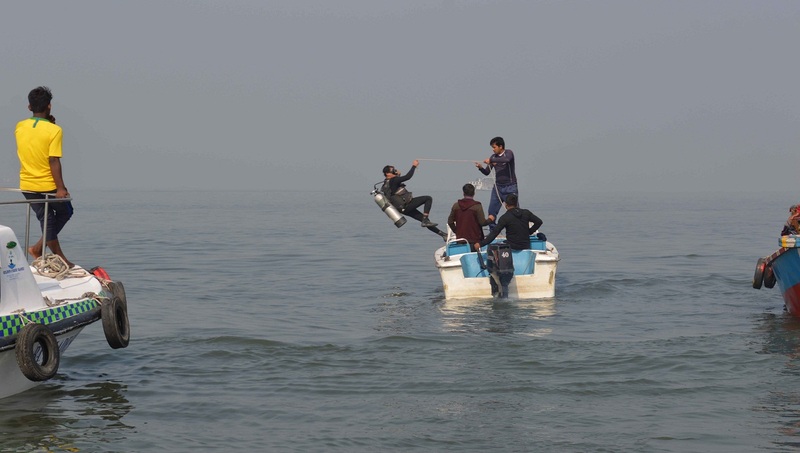 Meanwhile, an eight-member team of Bangladesh Navy divers and BIWTA rescue ship ‘Pratya’ went to the spot in the afternoon to join the savage operation, said Deputy Commissioner Saila Farzana from the spot. She said the rescue operation for Thursday was suspended in the evening for Thursday and it will resume on Friday morning again. The DC also said the Navy members and the ship will start work on Friday morning. She said the rescuers were facing trouble in locating the trawler as it capsized at night and all the workers were sleep when the incident happened.